festival of biodiversity | NUS Toddycats! Come join the NUS Toddycats at the Festival of Biodiversity 2018! This annual event aims to create awareness and promote efforts in conserving and enhancing our local biodiversity. Check out various recounts of past years’ Festival of Biodiversity events by Toddycats and Friends! This year, the Toddycats FOB committee will be planning even more activities in the lead up to FOB2018 which will be held on 2-3 June 2018. Please sign up with this link: https://tinyurl.com/toddycats-fob2018 as a volunteer guide with us! We have prepared enrichment field trips and workshops leading up to the big event day, and even post-FOB events too! Join us to re-create the wonderful atmosphere we achieved last year! 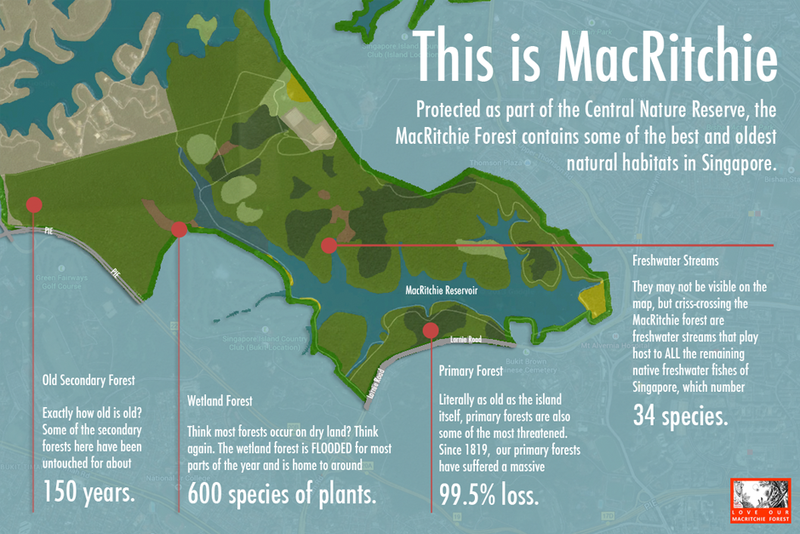 Toddycats’ prepare for Festival of Biodiversity 2017 – this time, a forest walk at the MacRitchie forest! NUS Toddycats hit the trail again, in preparation for the Festival of Biodiversity 2017. The annual celebration of Singapore’s biodiversity by members of the Biodiversity Roundtable of Singapore with NParks will present a two day event of talks and exhibitions at Serangoon NEX on 27-28 May 2017: 10.30am – 10.30pm. 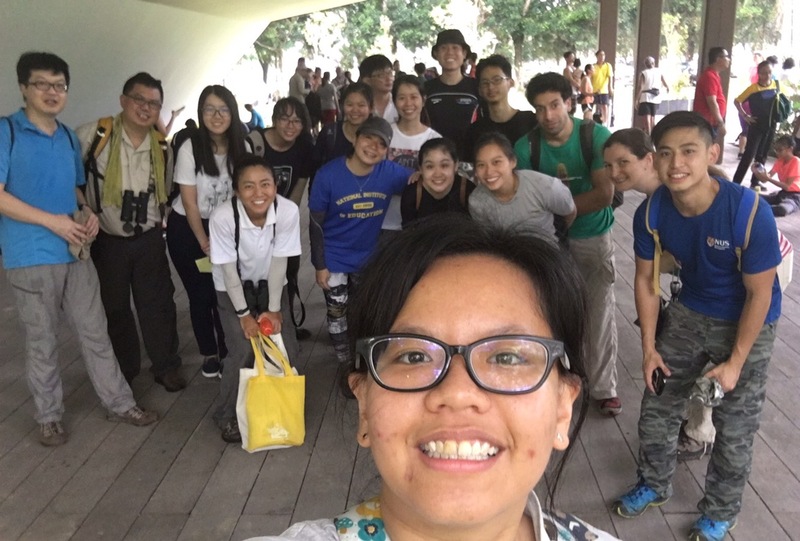 Toddycats’ seniors conducted the second of three training sessions (two field trips and a lab session) which last saw them at Sungei Buloh Wetland Reserve. With the exams over, 21 joned the training today which was conducted by Sean Yap, Joleen Chan, Erin Tan, Marcus Ng, Alvin Wong & Claire Jonquieres. During the training, seniors shared stories about insects, mammals, birds and reptiles, and about themes such as flight and gliding in the tropical rainforest, forest fragmentation, human-animal conflict such as the macaque culls and the recent year of the rooster red jungle fowl fiasco and invasive species introductions. Animal life helped out with a Draco gliding to a tree, a flatworm everting its gut to digest a snail, ants tapping mealybugs for honeydew, barklice spinning a silk layer around tree trunk like cling wrap, and a stalk-eyed fly chasing off another fly with a dramatic display. And they were bedazzled by a colugo, resting just three metres above the ground! The merry band at Windsor Nature Park! Thanks to Chloe & Weiting who organised this session, and Alvin for highlights! For photos from the walk, see Toddycats’ Flickr album and Alvin’s Flickr album. We are counting down to Festival of Biodiversity 2017 which is a month away! This annual celebration of Singapore’s biodiversity by members of the Biodiversity Roundtable of Singapore with NParks will present the two day event at at Serangoon NEX on 27-28 May 2017: 10.30am – 10.30pm. With undergrads slogging away for the exams, the cosy session of 12 Toddycats was split into four small groups, each led by an experienced Toddycats senior – Amy Choong, Alvin Wong, Marcus Ng, and Theresa Su & Xu Weiting. 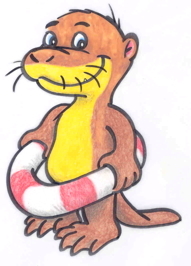 What’s in the water? Theresa sharing form & function stories of halfbeaks and archer fishes from the main bridge. 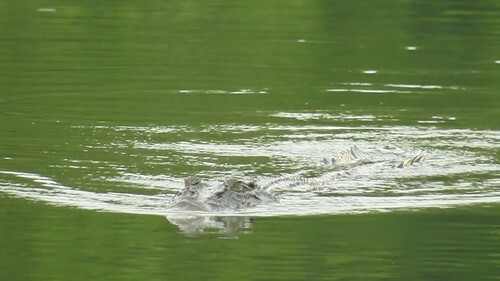 Some groups were really lucky in the post-drizzle and saw the elusive black spitting cobra, a family of six smooth-coated otters and an estuarine crocodile. The two hours were filled with many observations and personal stories about the mangrove denizens, reminding us of the importance of mangroves , which we will share with the FOB2017 visitors. Bring family and friends to FoB2017. Toddycats alone have recruited 50 volunteers to ensure we always have fresh faces eager and ready to share stories with visitors on the 27 & 28 May 2017. And there will be many nature groups there, with talks at the library by various working groups. 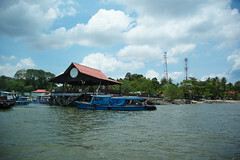 A wonderful way to discover biodiversity in Singapore. See you there! Join us as a Toddycats volunteer at Festival of Biodiversity 2017! Have a treasure-trove of nature-related stories but not sure who to share them with? Come join the NUS Toddycats at the Festival of Biodiversity 2017! This annual event aims to create awareness and promote efforts in conserving and enhancing our local biodiversity. 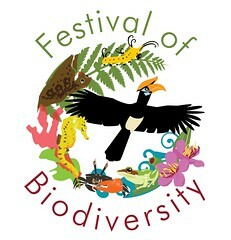 Check out various recounts of past years’ Festival of Biodiversity events! Not sure if you have enough stories to tell? Fret not. There will be two training sessions this year (volunteers need only to attend one) to equip volunteers with nature tales on the specimens on display this year. In addition, volunteers with NUS Toddycats this year will have a chance to embark on not one, but TWO nature walks for an immersive experience in our natural habitats before we gear up for FOB 2017! If you have a passion for our natural heritage, and want to lend a voice to our local biodiversity, sign up here: tinyurl.com/fob-volunteer2017. The Festival of Biodiversity is back at the Singapore Botanic Gardens this year! 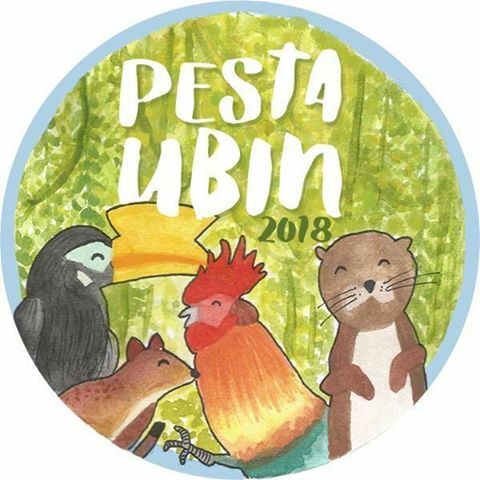 The Toddycats, together with Palm Civets of Singapore, Otterwatch, and International Coastal Cleanup will have booths throughout the weekend, featuring specimens from the Lee Kong Chian Natural History Museum. Do drop by and say hello; our guides will be ready to regale you with wonderful tales of nature and Biodiversity in Singapore.